Xavier Faz is a senior advisor to CGAP’s Technology Program on business model innovation, product development and market development strategies for branchless banking. He has been a part of the technology program since its inception and led some of CGAP’s initial collaborations and experiments in branchless banking. 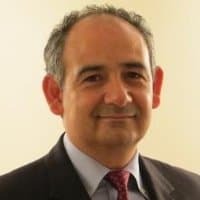 Xavier also oversees CGAP’s work in Latin America and the Caribbean and maintains close connection with the policy and market issues in the region. Before joining CGAP, Xavier worked extensively in the strengthening of the microfinance sector in Mexico through technology innovation as a means for growth. As head of Strategic Planning at Bansefi (a development bank in Mexico), he led the development of a shared technology platform, a network model for payments-based services, and a payments switch for microfinance institutions and financial cooperatives. Prior to that, Xavier worked atMcKinseyand Company, in business strategy, consumer goods, and financial institutions for corporations both in the public and private sectors. Xavier holds a Master’s degree in Computer Science fromStanford University, and an engineering degree from theInstituto Tecnológico de Monterrey, México. The GSMA estimates there are more than 60 million active mobile money accounts in over 84 countries, and these figures continue to grow. But though this growth has been driven primarily by payments, financial service providers are beginning to deliver other services through these “digital rails.” CGAP discusses five attributes upon which these second generation products build their value propositions.